Discussion in 'Fish, Snail, Worm And Pest ID Help' started by Damo2439, Apr 14, 2017. @chromedome52 or @NavigatorBlack eill be able to help you out. Or maybe someone else on the forum will! I don't think that's it. The fish in the picture should have a more thinner and longer body structure. I've seen those recently, cant seem to find it right now. Maybe a Blue Eye rainbow fish of some kind. Yes, they are Red Neon Blue Eyes. The species has very recently been described, as Pseudomugil luminatus, Allen, Unmack and Hadiaty, 2016. I've bred them, much as you would any of the small Blue Eyes, they are not picky about water. 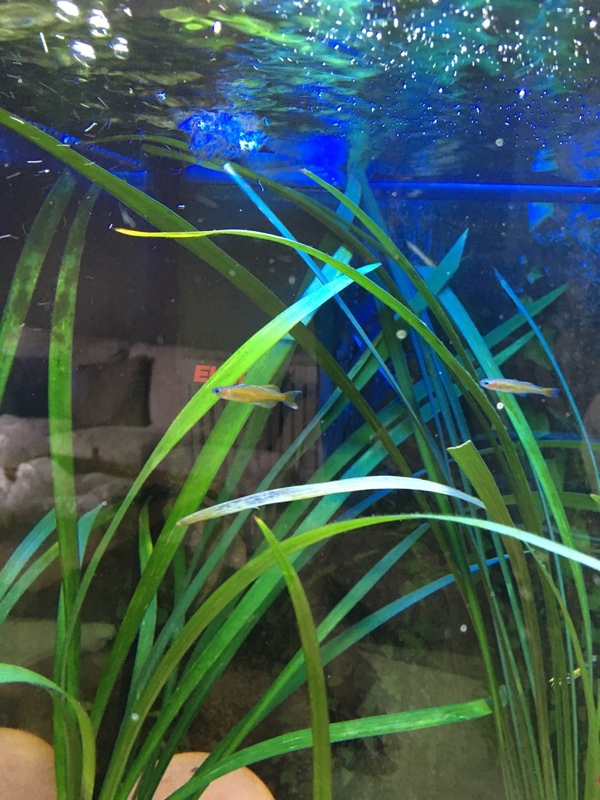 I used Riccia as spawning medium, the tiny fry would come out when they got big enough to not get eaten.